Peripheral arterial disease (PAD) refers to atherosclerosis or hardening of the arteries in the circulation ”peripheral” to the heart. The relevance of PAD is underscored by its frequency, as much as 15 percent of the population over 65, and its association with coronary and or cerebrovascular disease. Indeed, many studies show that 9 percent of people who have obstructive PAD also have significant coronary or cerebrovascular disease. Hence the diagnosis of PAD indicates the need to evaluate for underlying coronary or cerebrovascular disease. Furthermore, early intervention for PAD, coronary and cerebrovascular disease with exercise, diet changes, selective medications, and mechanical interventions can improve one’s quality of life and, in select instances, save limb and life. In general, anyone over 60 who has 2 or more of the following risk factors for vascular disease should undergo PAD screening with an ankle brachial index test (ABI). If a blockage persists in the peripheral arteries in the legs, it can produce changes in skin color, pain, sores or ulcers and the patient may have difficulty walking. A complete loss of circulation to the feet and legs can produce gangrene and possibly loss of a limb. If the blockage happens in a carotid artery, it can cause a stroke. Peripheral Artery Disease has several symptoms, but many people with PAD never have any symptoms at all. 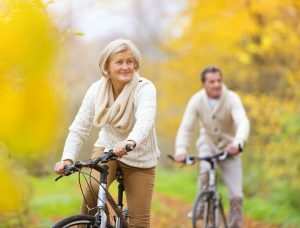 Lots of people look at leg pain as a natural sign of aging. Some might think it’s sciatica, arthritis, or just “stiffness” from getting older. For starters, consider the source of your pain. PAD leg pain takes place in the muscles, not the joints. PAD may result in pain or tightness in the buttock, thigh, or calves, however, commonly people will simply note leg fatigue, loss of balance or even impaired sensation in the feet. In any case, much can be done to improve an individual’s ability to walk and pursue active lifestyles once the diagnosis has been made. People with diabetes could confuse PAD pain with neuropathy which is a normal diabetic symptom. It frequently feels like a burning sensation or painful feeling in the thighs or feet. If you are having any type of recurring pain, you should talk to your healthcare professional and describe the pain as best as you can. If you have any of the risk factors for PAD, you should ask your healthcare professional about PAD even if you are not feeling any symptoms. A PAD diagnosis starts with a physical examination. An Ankle Brachial Index (ABI) is a simple office test consisting of measuring the ankle & arm blood pressures using a Doppler Device. This test compares the blood pressure in your feet to the blood pressure in your arms in order to establish how well the blood is flowing. Typically, the ankle pressure is at least 90 percent of the arm pressure, however, with severe narrowing, it may be less than 50 percent. This would suggest the presence of obstructive lower extremity arterial disease and indicates the need for additional evaluation and treatment. Doppler and Ultrasound (Duplex) imaging: This is a non-invasive test that visualizes the artery with sound waves and measures the blood flow in an artery to show the existence of a blockage. Computed Tomographic Angiography (CT): This is a non-invasive assessment that can reveal the arteries in the abdomen, pelvis and legs. This test is especially useful in patients with pacemakers or stents. Magnetic Resonance Angiography (MRA): This is a non-invasive exam that provides information similar to that of a CT minus the use of X-rays. Angiography: (This is usually reserved for use in combination with vascular treatment procedures) During the test, a contrast agent is injected into the artery and X-rays are taken to establish blood flow in the arteries in the legs and to locate any blockages that may be present. Peripheral Arterial Disease regularly goes undiagnosed. Left untreated PAD can become serious and produce painful symptoms or loss of a leg. Patients with PAD have an increased risk of coronary artery disease, stroke and heart attack it is important to talk with your healthcare provider to ensure early diagnosis and treatment. For more information or to schedule an appointment with our specialists at First Coast Heart & Vascular Center call 904-423-0010.